Take a 360 virtual tour of the Dr. Thomas D. Pappert Center for Performance and Innovation - Click here! 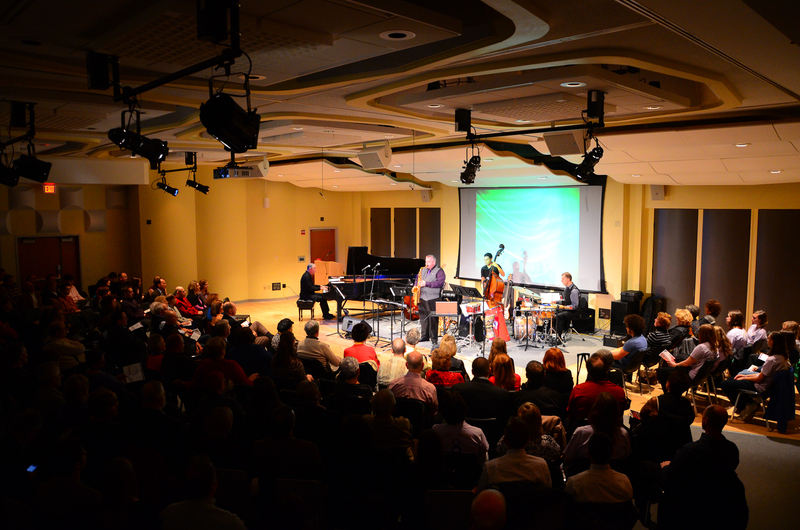 The Dr. Thomas D. Pappert Center for Performance and Innovation provides our students and faculty with a technologically sophisticated and acoustically superb space. Designed and built for the optimal sound experience, the Pappert Center incorporates visionary thinking in acoustic engineering and is equipped with the latest audio/visual and recording technology. This resource will inspire our students and faculty to achieve the highest levels of creativity and artistry in their musical ventures. Presentations and performances can be captured digitally, in both high definition video and audio. These captures can be used for finishing a DVD or CD, or for packaging streaming broadcasts for television, radio or the internet. Instead of a raised stage that limits open space, roughly one-third of the Pappert Center's floor is finished in hardwood, a "stage" that can expand or recede as needed. Theatrical lighting, a variety of seating arrangements and a high-tech audiovisual system, including a 16-foot video projection screen and surround-sound audio, complete the transformation from a rehearsal space to a performance venue that can seat over 150 people. Overall, this facility is a major accomplishment. It will enhance the experience of those studying state-of-the-art techniques in digital audio, video production and broadcast media. 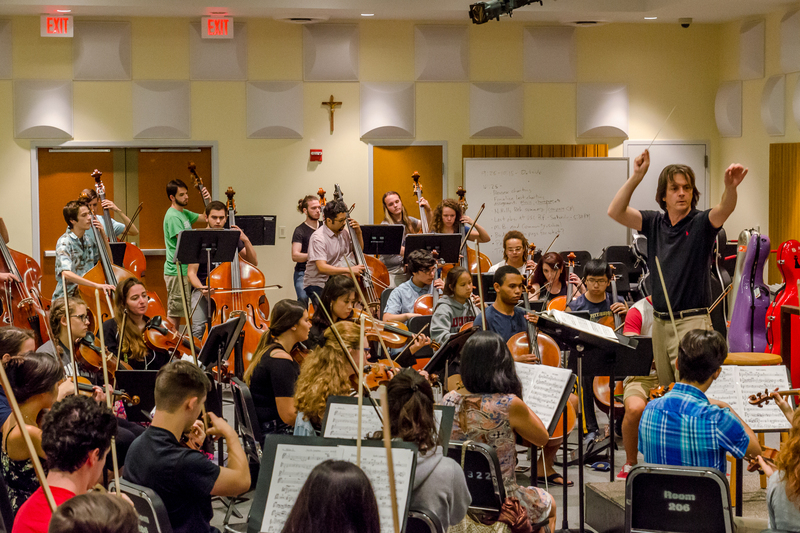 In addition to its versatility as a performance and recording venue, the Pappert Center also serves as a rehearsal space for several of our large ensembles and can also be adapted to serve as a classroom/lecture space for classes and clinics with larger numbers of students.